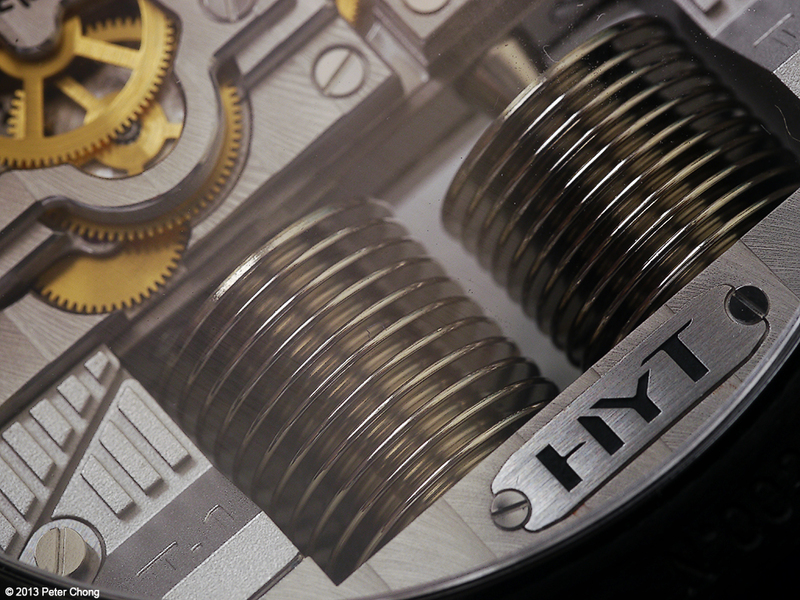 Last week, I showed one of my advertisers: HYT's H1. 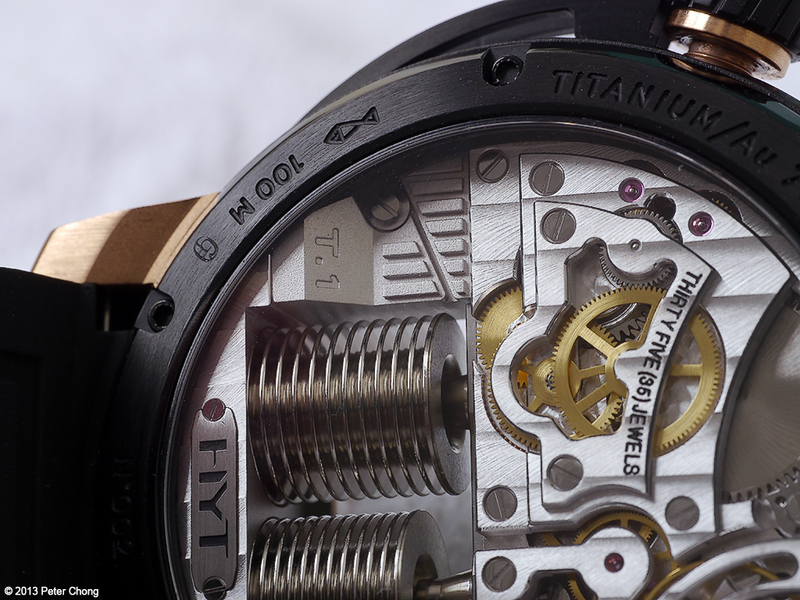 Please click on the link on the column left to go to their website for more infomation. 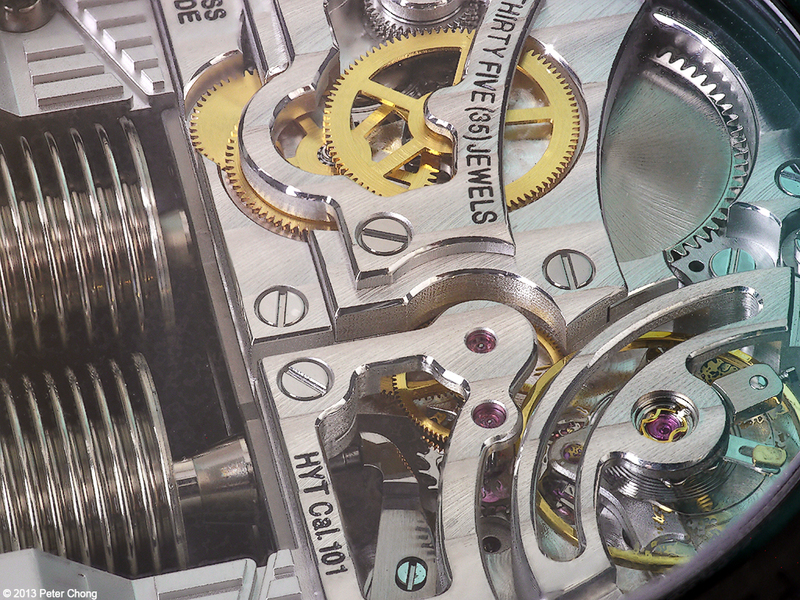 Today, I feature abstract watchscapes of the same watch. 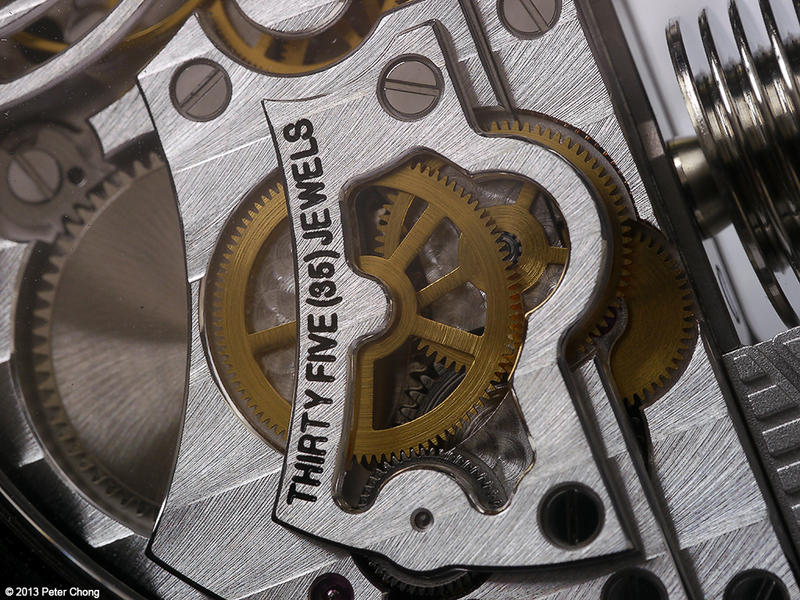 Click on the image for a wallpaper sized image. 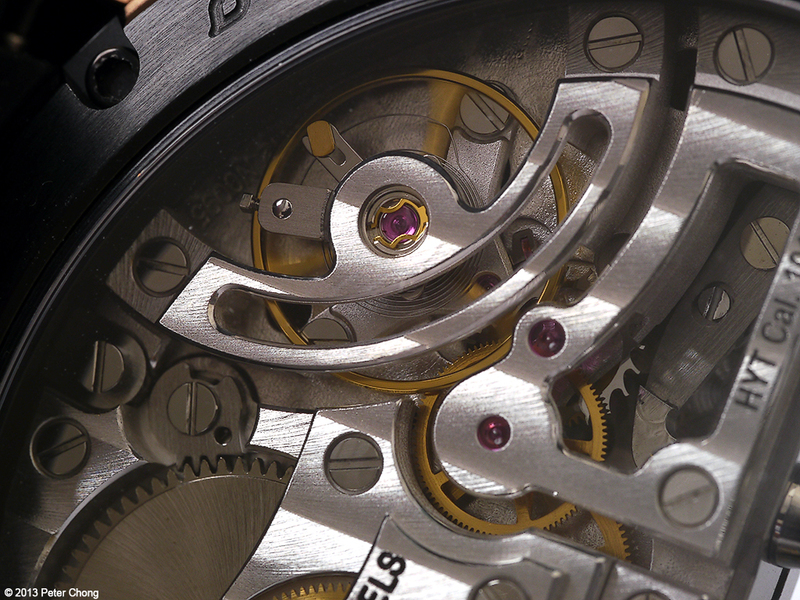 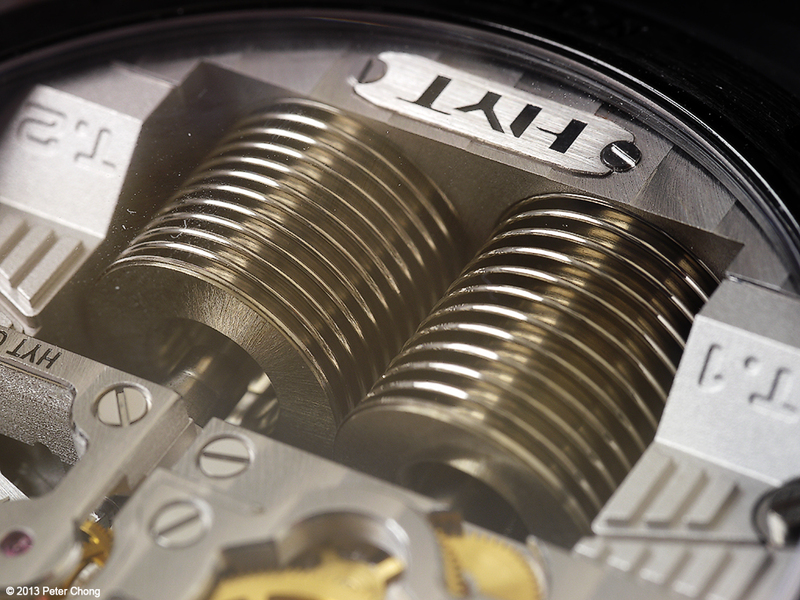 Movement detail, showing the handwork of the traditional movement finishing applied to the movement.